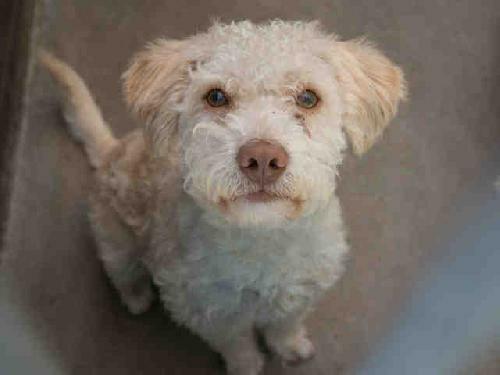 Frisco is a young Poodle mix just sitting at the shelter hoping for a family to call his own. Please lets find him a loving home! 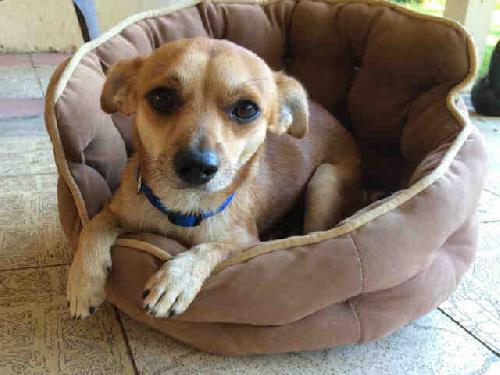 Buster is a Terrier mix who is just sitting dreaming of finding a nice bed and warm meal. Please lets find him a great home! 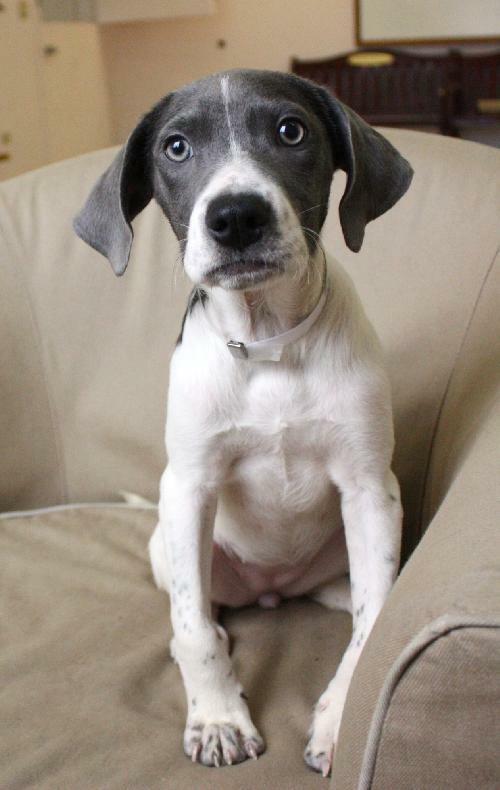 Susie and Sissy are two adorable blue and white puppies who look to be Hound mixes. These friendly and playful girls are just a few months old. Currently, Susie weighs 11 pounds and Sissy weighs 9 pounds; they will be medium to large adults. They both get along with other dogs and they should do well with active families without very young kids. Their new families will need to continue their housebreaking and obedience training; we recommend group puppy classes for the whole family. Please lets find them a good home! 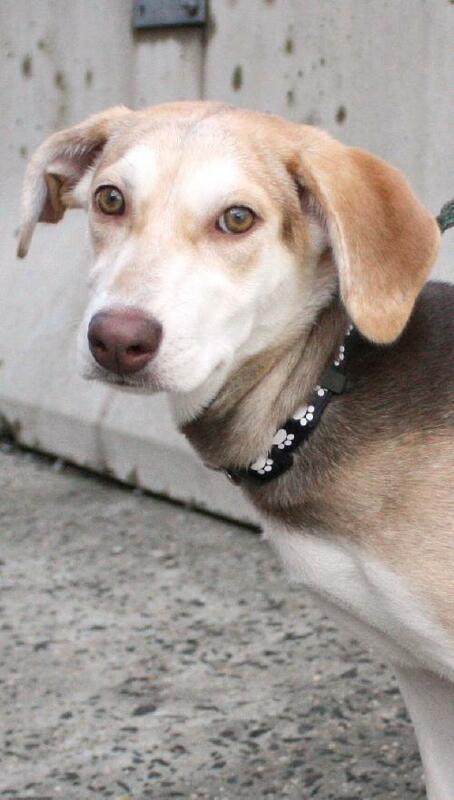 Sandy is a beautiful teenage puppy who appears to be a Hound mix. This super sweet girl weighs 25 pounds currently; she will be medium to large adult. She gets along with other dogs and she will do well with an active family without very young kids. Her new family will need to continue her housebreaking and obedience training; we recommend group puppy classes for the whole family. Please lets find her a loving home! 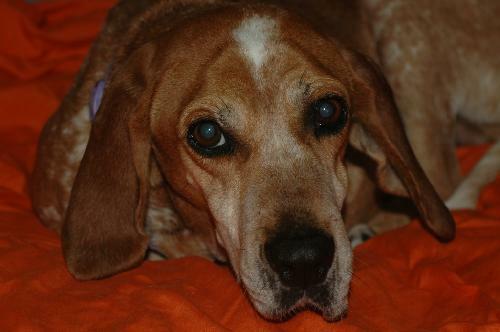 Ellie is a hound mix. She is a blind/visually impaired dog that is living in a home, but owner can no longer keep her. 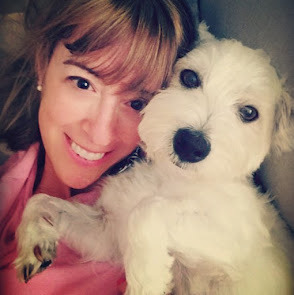 She is good with dogs,cats and children. Ellie is house trained as well. She was featured on here before but is still in needs of a home. Please lets find her a great home! 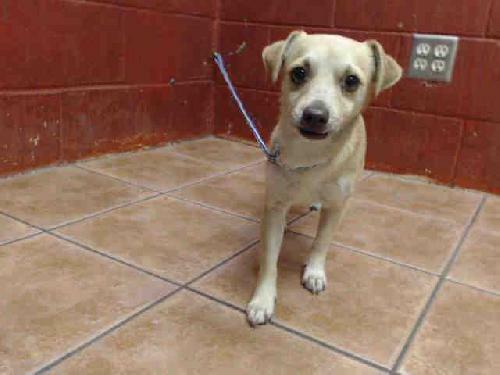 Pee Wee is a Chihuahua mix who is affectionate and loving. He just needs family to love. Please lets find him a good home!